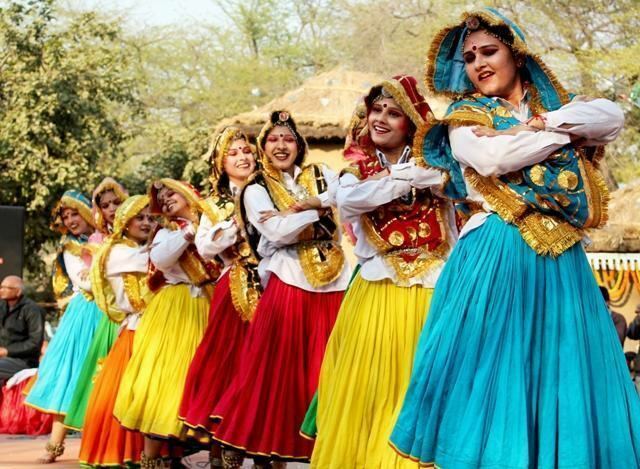 Haryana ([ɦərɪˈjaːɳaː]) is one of the 29 states in India, situated in North India. It was carved out of the former state of East Punjab on 1 November 1966 on a linguistic basis. It stands 21st in terms of its area, which is spread about 44,212 km2 (17,070 sq mi). As of 2011 census of India, the state is eighteenth largest by population with 25,353,081 inhabitants. The city of Chandigarh is its capital while the National Capital Region city of Faridabad is the most populous city of the state and the city of Gurugram is financial hub of NCR with major Fortune 500 companies located in it. It is bordered by Punjab and Himachal Pradesh to the north, and by Rajasthan to the west and south. The river Yamuna defines its eastern border with Uttar Pradesh. Haryana surrounds the country's capital Delhi on three sides, forming the northern, western and southern borders of Delhi. Consequently, a large area of south Haryana is included in the National Capital Region for purposes of planning and development. The name Haryana has been derived from the Sanskrit words Hari (the Hindu god Vishnu) and ayana (home), meaning "the Abode of God". However, scholars such as Muni Lal, Murli Chand Sharma, HA Phadke and Sukhdev Singh Chib believe that the name comes from a compound of the words Hari (Sanskrit Harit, "green") and Aranya (forest). After the sack of Bhatner fort during the Timurid conquests of India in 1398, Timur attacked and sacked the important cities like Sirsa, Fatehabad, Sunam, Kaithal and Panipat. When he reached near the town of Sarsuti from fort of Firozah and Bhatner, the residents who were mostly non-Muslims fled and were chased by a detachment of Timur's troops, with thousands of them being killed as well as looted by the troops. From there he traveled to Fatehabad, whose residents fled and a large number of those remaining in the town were massacred. The Ahirs resisted him at Ahruni but were defeated, with thousands being killed and many being taken prisoners while the town was burnt to ashes. From there he traveled to Tohana, whose Jat inhabitants were stated to be robbers according to Sharaf ad-Din Ali Yazdi. They tried to resist but were defeated and fled. Timur's army pursued and killed 200 Jats, while taking many more as prisoners. He then sent a detachment to chase the fleeing Jats and killed 2,000 of them while their wives and children were enslaved and their property plundered. From there he proceeded to Kaithal whose residents were massacred and plundered, destroying all villages along the way. On the next day, he came to Assandh whose residents were "fire-worshippers" according to Yazdi had fled to Delhi. Next he traveled to and subdued Tughlaqpur fort and Salwan before reaching Panipat whose residents had already fled. He then marched on to Loni fort. The area that is now Haryana has been ruled by major empires of India. Panipat is known for three seminal battles in the history of India. In the First Battle of Panipat (1526), Babur defeated the Lodis. In the Second Battle of Panipat (1556), Akbar defeated the local Haryanvi Hindu Emperor of Delhi, who belonged to Rewari. Hem Chandra Vikramaditya, had earlier won 22 battles across India from Punjab to Bengal defeating Mughals and Afghans. Hemu had defeated Akbar's forces twice at Agra and Battle of Delhi in 1556 to become last Hindu Emperor of India with formal Coronation at Purana Quila in Delhi on 7th Oct. 1556. In the Third Battle of Panipat (1761), the Afghan king Ahmad Shah Abdali defeated the Marathas. Haryana is a landlocked state in northern India. It is between 27°39' to 30°35' N latitude and between 74°28' and 77°36' E longitude. The total geographical area of the state is 4.42 m ha, which is 1.4% of the geographical area of the country. The altitude of Haryana varies between 700 and 3600 ft (200 metres to 1200 metres) above sea level. As per India State of Forest Report, FSI, 2013, the Forest Cover in the state is 1586 km2 which is 3.59% of the state's geographical area and the Tree Cover in the state is 1282 km2 which is 2.90% of the geographical area. Thus the Forest and Tree Cover of the Haryana state is 6.49% of its geographical area. The Yamuna flows along the state's eastern boundary while the ancient Sarasvati River is said to have flowed from Yamuna Nagar, but has now disappeared. Haryana's main seasonal river, the Ghaggar rises in the outer Himalayas, between the Yamuna and the Satluj and enters the state near Pinjore in the Panchkula district. Passing through Ambala and Sirsa, it reaches Bikaner in Rajasthan and runs for 460 km (290 mi) before disappearing into the deserts of Rajasthan. Important tributaries include the Chautang and Tangri. Haryana Police force is the law enforcement agency of Haryana. It has a cybercrime investigation cell, in Gurgaon's Sector 51. High level of initiative is being taken by the government to ensure absolute safety. There are two agroclimatic zones in Haryana. The North-Western part (also referred as Paddy belt) which is suitable for rice, wheat, vgetables and temperate fruits, and the South-Western part (also referred as the Cotton belt or Dry belt) which is suitable for cotton, millet, coarse cereals, tropical fruits, exotic vegetables and herbal & medicinal plants. As Kharif season cultivation depends on rainfalls & the Northern part receives ample rains, rice is extensively cultivated in this part. Punjab bordering area from Cheeka-Kaithal to Karnal-Kurukshetra is major belt of Basmati rice cultivation & most millers of Basmati rice are present in Karnal-Kurukshetra. The cotton belt which receives less rainfall grows cotton, however farmers with irrigation still prefer growing Rice. Sirsa, Fatehabad, Hisar & Jind are among major cotton producing areas of Haryana. Southern districts of Bhiwani, Rewari, Jhajjar and Mahendragarh in Haryana which are usually arid are major producer of Millets like Bajra & Jowar. 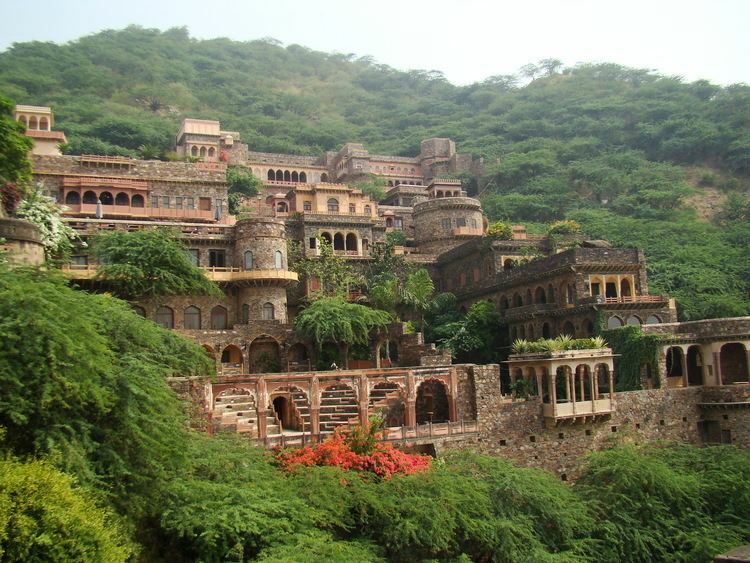 Hissar is another developing city and the hometown of Navin Jindal and Subhash Chandra of Zee TV fame. Savitri Jindal, Navin Jindal's mother, has been listed by Forbes as the third richest woman in world. The Grand Trunk Road, commonly abbreviated to GT Road, is one of South Asia's oldest and longest major roads. It passes through the districts of Sonipat, Panipat, Karnal, Kurukshetra and Ambala in north Haryana where it enters Delhi and subsequently the industrial town of Faridabad on its way. The state government proposes to construct Express highways and freeways for speedier vehicular traffic. The 135.6 kilometres (84.3 mi) Kundli-Manesar-Palwal Expressway(KMP) will provide a high-speed link to northern Haryana with its southern districts such as Sonepat, Gurgaon, Jhajjar and Faridabad. The work on the project has already started and was scheduled to be completed by July 2013. The Delhi-Agra Expressway (NH-2) that passes through Faridabad is being widened to six lanes from current four lanes. It will further boost Faridabad's connectivity with Delhi. According to the 2011 census, Hindus (87.46%) constitute the majority of the state's population with Sikhs (4.91%), Muslims (7.03%) (mainly Meos) being the largest minorities. Agriculture and related industries have been the backbone of the local economy. Since 2001, the state has witnessed a massive influx of immigrants from across the nation, primarily from Bihar, Bengal, Uttrakhand, Rajasthan, Uttar Pradesh and from the country, Nepal.Scheduled Castes form 19.3% of the population. Central University of Haryana is in Jant-Pali village, Mahendragarh district of Haryana, India, which is set up in 500 acres (2.0 km2), has been established through an Act of Parliament: "The Central Universities Act, 2009" by the Government of India. The territorial jurisdiction of Central University of Haryana is for the whole of the Haryana. The first Convocation of the University was held on March 1, 2014. Hisar has three universities: Chaudhary Charan Singh Haryana Agricultural University - Asia's largest agricultural university, Guru Jambheshwar University of Science and Technology, Lala Lajpat Rai University of Veterinary & Animal Sciences); several national agricultural and veterinary research centres (National Research Centre on Equines), Central Sheep Breeding Farm, National Institute on Pig Breeding and Research, Northern Region Farm Machinery Training and Testing Institute and Central Institute for Research on Buffaloes (CIRB); and more than 20 colleges including Maharaja Agrasen Medical College, Agroha. In 2001–02, there were 11,013 primary schools, 1,918 middle schools, 3,023 high schools and 1,301 senior secondary schools in the state. Haryana Board of School Education, established in September 1969 and shifted to Bhiwani in 1981, conducts public examinations at middle, matriculation, and senior secondary levels twice a year. Over seven lac candidates attend annual examinations in February and March; 150,000 attend supplementary examinations each November. The Board also conducts examinations for Haryana Open School at senior and senior secondary levels twice a year. The Haryana government provides free education to women up to the bachelor's degree level. Electronic media channels include, MTV, 9XM, Star Group, SET Max, News Time, NDTV 24x7 and Zee Group. The radio stations include All India Radio and other FM stations. Haryana has produced some of the best Indian players in a variety of sports. The State has an old wrestling tradition, and thus some of the finest wrestlers of India hail from Haryana. These include Mahavir Singh Phogat, Mahender singh khatri, Sushil Kumar, Yogeshwar Dutt, Sakshi Malik, Vinesh Phogat, Geeta Phogat and Babita Kumari. The non-descript town of Bhiwani in the middle of Haryana has produced several of India's best boxers, such as Kavita Chahal, Vijender Singh, Jitender Kumar, Akhil Kumar and Vikas Krishan Yadav. Chief Minister of Haryana Manohar Lal Khattar announced the "Haryana Sports and Physical Fitness Policy", a policy to support 26 Olympic sports, on 12 January 2015 with the words "We will develop Haryana as the sports hub of the country."